As there are some heavy impurities like stapler nails, bolts, rocks, glasses and so on in waste paper pulp, Leizhan professional engineers offer advanced and customized cleaning solutions for paper plant. ZSC series high density cleaner is an efficient cleaning equipment for removing heavy contaminates in waste paper pulp. 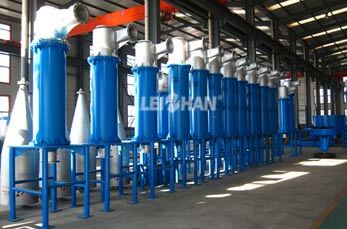 It highly improves the end product’s quality and purification. High density cleaner can be used in a wide range, both for the high density of pulp the coarse purification and before the machine, and purifying selection of low concentration of pulp. Wear resistance ceramics cone, long service life. Small area, easy operation and excellent purify effect. Automatic discharging and manual discharging systems. High efficient removal of heavy impurities, thus reducing the burden of follow-up machines. Equipped with PLC control cabinet, convenient and easy to control.